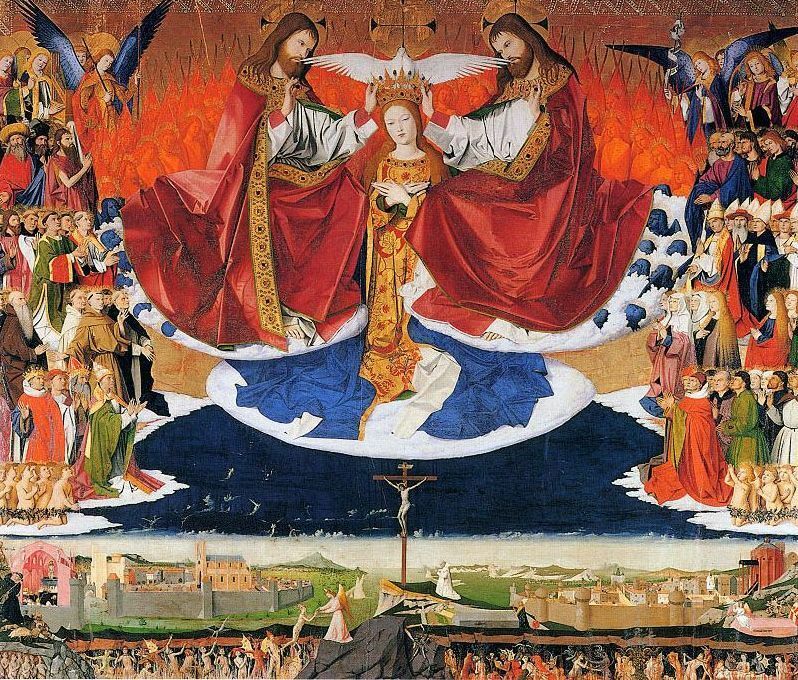 I have also always enjoyed Enguerrand Quarton’s – The Coronation of the Virgin, which too unitizes blue and red angels similar to those found in Fouquet's Melun Diptych. 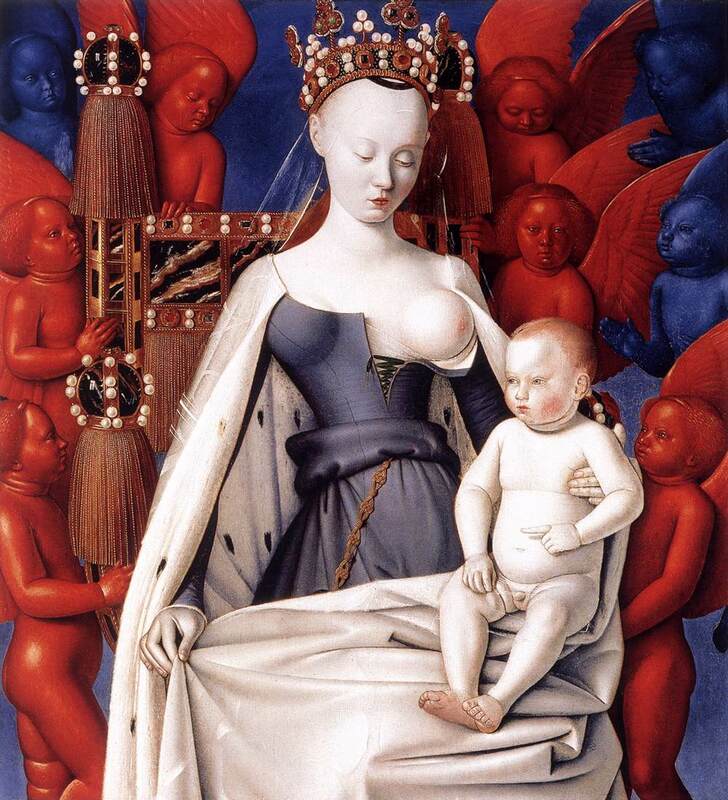 As you can see, there are a lot of red and blue cherubs – while mine only has two. The reason being…this was only meant to be a test! Clearly, along the way, it developed in to something more. At some point I realized the time I was investing in it, and decided to just refine the whole thing out and experiment with a range of new ideas (such as the pink and green hypno-spiral and the flat gray pyramid/triangles). The drawing this was a support study for will actually have 7 of these little guys – 4 red and 3 blue!!! And I thought drawing two of them about killed me, ha!